Parris Island, SC – U.S. Marine Corps recruit Tyreike Robinson, a 20-year-old native of Nashville, Tennessee, shouts while sliding down a rope obstacle during the Confidence Course on Parris Island, SC. Robinson is with Platoon 3060, India Company, 3rd Recruit Training Battalion, and is scheduled to graduate August 25th, 2017. 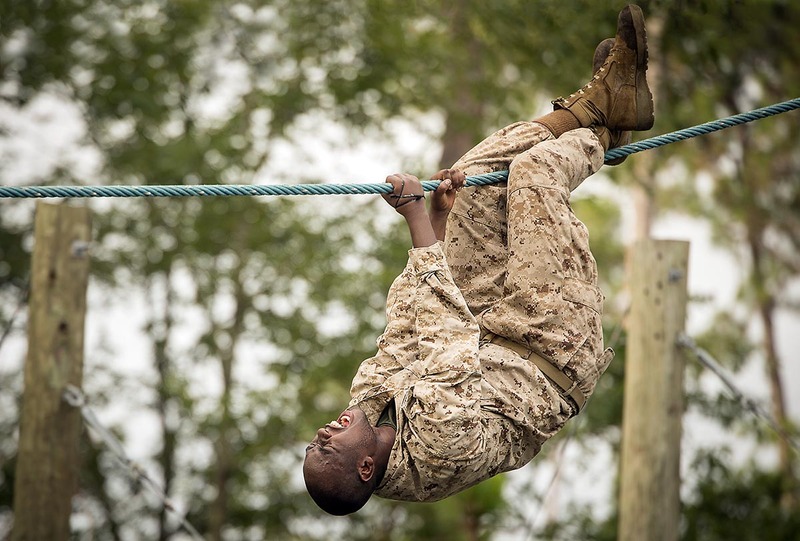 Approximately 19,000 recruits come to Parris Island annually for the chance to become United States Marines by enduring 12 weeks of rigorous, transformative training. Parris Island is home to entry-level enlisted training for 49 percent of male recruits and 100 percent of female recruits in the Marine Corps. 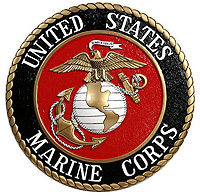 The symbolic Eagle, Globe and Anchor emblem and the title Marine are earned only by those who successfully complete each of seven graduation requirements and embrace the Corps’ core values of honor, courage, and commitment.